Saturday on the blog will henceforth by known as Introvert Saturday. I probably won't have a guest post every Saturday but I may get close. If you want to write a guest post, go here for guidelines. Today's post comes from Christy McDougall, who describes herself as a 30-year-old female Pentecostal introvert from Montana. She has graduate degrees in theology and plans to teach continuing education to pastors and missionaries in Europe. The MTBI. The Enneagram. The Four Temperaments. The Big Five. What kind of ice cream are you? When I was in college and graduate school, I met and fell in love with the study of personality. I took as many tests as I could (including the ridiculous ones—“What is your inner shoe color?”) and analyzed myself up, down, sideways, and every which way I could. I wrote reams of journal entries and read books by Myers and Briggs and Briggs-Myers. 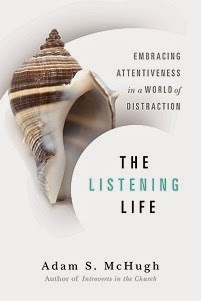 It was an absolutely fascinating and enthralling study. But at the same time, I was concerned about this propensity for solitary self-analysis. 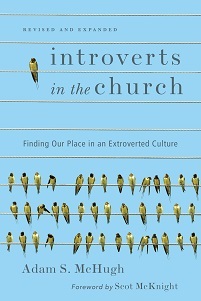 I grew up in that most extraverted of churches, the American Pentecostal tradition, and I knew that a good Christian is not selfish, not self-absorbed; a good Christian goes out of her way to be loving and welcoming to others; a good Christian doesn’t spend all her extra time sitting on her couch thinking about herself but goes out and invites the neighbors to church and helps them mow their lawns or volunteers at the homeless shelter. Analyzing myself to death seemed merely selfish, nothing more. That was when I realized I was wrong. There are more ways to minister in the church (or out of it) than the traditional extraverted ways we always hear about. I realized this when I found myself unexpectedly in a position to help two close friends, a father and daughter, understand why they had been struggling to have a good relationship. Because of my personality studies, I understood why the father acted in a certain way, why the daughter responded to it in a certain way, how I could explain them to each other in their own language, so to speak, and how I could begin the process of training them to understand each other. My internal study had led me to a wider understanding of people and thus to my own kind of ministry. My time alone had paradoxically prepared me to help people. I came to see other results of my personal study over the next few years. I am a writer of science fiction, not a genre that you’d expect to have great ministry value, but I have found myself naturally infusing my theology, psychology, and personality studies into the stories and the characters. This love that I have for study and analysis, for understanding the inner workings of myself, humanity in general, and God Himself, has served to deepen my own fiction writing and turn it into a kind of ministry of its own. For now, my quiet writing life is my ministry. This is what I have learned through my struggle with seeing my introverted traits and activities as an asset for the Kingdom of God rather than a liability: If we introverted types truly desire for God to use us, He will. Maybe at times He’ll stretch us and take us out of our comfort zones to do those extraverted things, but often times He will use the traits and loves and gifts He put in us to use. God made me an introvert who loves to study and analyze myself on purpose, and so far He has used me as an introvert who loves to study and analyze myself. I love it. Now, if you’ll excuse me, I’m going to go read a blog on INTPs.